I am in Minnesota, I picked up my media credentials, and I am now in my hotel room. I met her accidentally in St. Paul, Minnesota. Johnny Cash, "Big River," 1964. And it was at the big river, in the land of southern drawls, Natchez, Mississippi to be exact, where I applied for my media credentials for this week's Republican National Convention. And I'll see that river in a few hours, after thundering my way across Wisconsin to reach the Twin Cities. 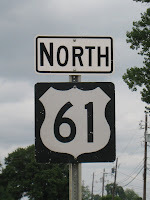 I'll also hook up again with Highway 61, the famous road originates in Minnesota. This week will be the highlight of my blogging career, and I expect that I'll place it highly mong the other achievements in my life. The Big River is calling. St. Paul is calling. The Barack Obama campaign has the audacity to criticize John McCain's choice of Alaska Governor Sarah Palin as his running mate. "Today, John McCain put the former mayor of a town of 9,000 with zero foreign policy experience a heartbeat away from the presidency" is how Obama spokesman Bill Burton phrased it. Palin is the Governor of Alaska: Of the four top-of-the-ticket candidates, only Palin has executive experience. Alaska, corruption wise, is a second-tier state. The top states, the most corrupt ones, include Louisiana, Rhode Island, New Jersey, and of course, Illinois. Palin has doggedly fought Alaska corruption, even though much of it has emerged from her own party. Barack Obama has not only tolerated graft in his own state, he has fed off of it. His first political sponsor was since-convicted felon Antoin "Tony" Rezko. Obama never denounced John and Todd Stroger, the former supplied votes for Obama, the latter initiated Cook County's "corruption tax." In 2005, Obama worked up the courage to criticize corruption within the administration of Chicago Mayor Richard M. Daley, but backed off of it an hour later. Obama must have gotten a phone call from the fifth floor of Chicago's City Hall. The best knock the Cult of Change will be able to use against Palin is "Troopergate." Palin fired (Hey, that's what executives do!) Alaska's public safety commissioner. But there are allegations Palin did that because the commissioner refused to dismiss her former brother-in-law, a state trooper. The Alaska legislature is investigating the charges, but Palin says, "Hold me accountable." That's the standard great executives hold themselves to. Palin recently confronted two powerful Alaska congressmen, Rep. Don Young and recently-indicted Sen. Ted Stevens, asking them why they are the target of federal investigations. Both men are Republicans. Her first victory in her path to becoming governor was defeating incumbent Frank Murkowski in the 2006 Republican Primary. Murkowski has faced charges of corruption. 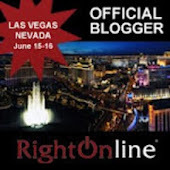 Has Obama publicly taken the same approach with the governor of his state, Rod Blagojevich? No. "Blago" is a Democrat and is under federal investigation. Obama's friend Tony Rezko was at Blago's side during the early years of his tainted administration. Palin has fought Alaska corruption. Obama has done nothing to fight Illinois corruption. Nothing. Monday night, Rep. Jesse Jackson, Jr. declared in a speech at the Democratic National Convention that "Illinois is America." I live in Illinois, and thankfully, it is not America. While Illinois Senator Barack Obama was preparing to accept the Democratic nomination for president, the governor of his state, fellow Chicago Democrat Rod Blagojevich sneaked back to Illinois to close some state parks and historical sites, as well as cut some jobs. He was hoping that people wouldn't notice. I did, and so did the local media. The move outraged lawmakers who just a day before watched the governor hug political rival Michael Madigan, the Illinois House speaker, and talk about a new day of working together. State Rep. Jack Franks, a Woodstock Democrat, said it's obvious Blagojevich was trying to bury the cuts and closings under all the Obama coverage coming from the national convention. The cuts include 325 layoffs among four state agencies - natural resources, historic preservation, human services and children and family services. In addition, 11 state parks and 13 historic sites will close. Click on the above link to see the list of closed sites. Two sites with strong Abraham Lincoln ties were among the victims of Blajojevich's pen. One of them is the replica log cabin site near Charleston, Illinois. It was the last home of Lincoln's father and stepmother. The old state capitol in Vandalia will will also close. Lincoln began his career in the state legislature there. Blagojevich, he sure is audacious. John McCain hasn't officially announced it, but his pick for his running mate is Alaska Governor Sarah Palin. She's the first woman to appear on the Republican presidential ticket. I fully support the choice. And not just because she's a woman. Palin has strong conservative credentials and most importantly, she's the only governor to among the four people leading the ticket for the major parties. Oh, Palin is a marathon runner. She ran Humpy's Marathon in Anchorage in 2005, finishing with a time of 3:59. Palin is 44 years old. Obama's Mt. Olympus speech: "No we can't"
I just got done watching Barack Obama, speaking from Mt. Olympus...make that Denver...where he accepted the Democratic nomination for president. Once again, the Cult of Change leader was strong on words such as "Hope," but short on specifics--such as how he plans to pay for all his grandiose plans. Besides that, Obama's speech was disturbing. The stage he spoke from, which the Chicago Tribune called "Barackopolis."